Located at 2 Km. from the Spanish border and at 7 Km. 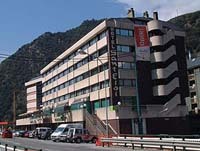 from the centre of Andorra la Vella, capital of the Principality, the hotel Sant Eloi is also the closest hotel to the "Parc del Segre" (Olympic White Water rafting center) in La Seu d'Urgell. 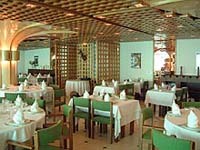 The hotel includes services such as bar, parking, dry cleaning, Internet connection, and Restaurant. The hotel belong to the Sant Eloi complex that includes a cafeteria-snack bar, a petrol station (Total), a pharmacy and a shopping center with a surface of more than 2500m2. The Sant Julià de Lòria parish offers its visitors many possibilities to carry out all sorts of activities, such as a large Sports Centre, the "Camp de neu de la Rabassa" (croos-skiing and nature activities in the sumer), the shooting range that is also located in the mountain La Rabassa, the Culture and Congress Center, the Tobacco Museum and the University of the University of Andorra. 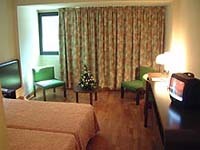 The Hotel Sant Eloi has 85 large and confortables rooms with central heating, full bathroom, direct dial telephone, ambience music and colour T.V. 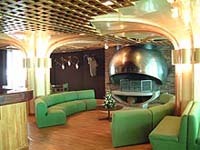 with 15 TV channels, four radio channels and 2 video channels.